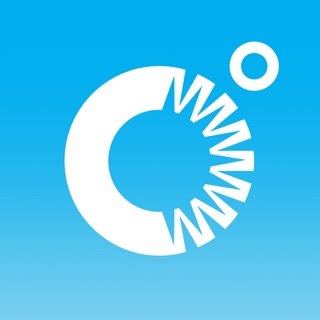 Graph the weather and see the weather for your calendar events. Use a 7 day scrollable minute-by-minute graph of temp, feels like, wind, precip, humidity, etc. It's easier to understand weather and it's beautiful. Business Insider: "Fresh Air is my new favorite weather app for iPhone"
BGR: "Fresh Air is the app I use when I really want to check the weather." 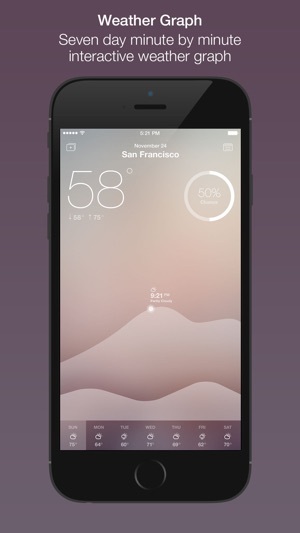 GIZMODO.COM: "few weather apps are as nicely designed and useful as Fresh Air"
Fresh Air gives you a weather graph, notifications and calendar for your existing events. It is a beautiful and intuitive way to see the weather and immediately understand what it means for your plans. Weather, intimately personal to you. 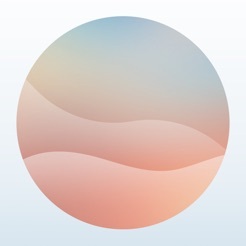 We convey 7 days of minute-by-minute weather in a beautiful minimalistic graph. We also show you the predicted weather for your calendar events with optional notification updates. Wondering if the concert will be rained out? How cold will your morning run be? Is your climbing session going to get lightning? Fresh Air makes it easy to find out. Seamlessly part of your life, you’ll no longer have to remember to check the weather. We’re your cozy morning companion that will make your brain tingle. • Severe weather warnings (storm warnings)! 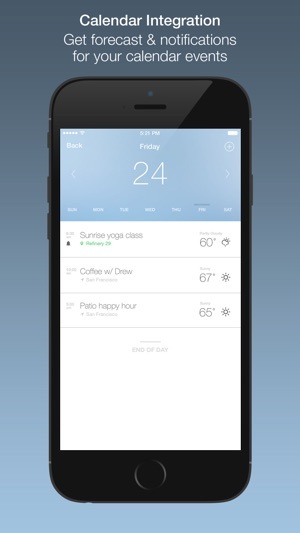 • Calendar integration that simplifies your weather experience. Import your existing calendar entries to see the predicted weather for your events. 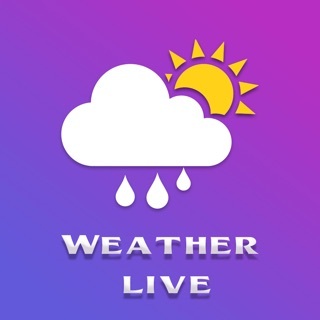 • Daily weather notifications for your current location. 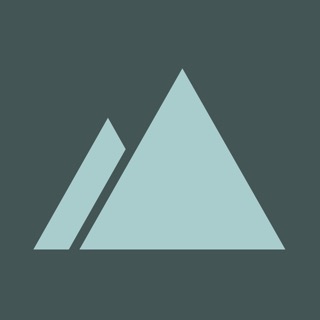 • Schedule weather notifications for calendar events. If you have an upcoming weather-dependent event, Fresh Air will keep you updated on the conditions. 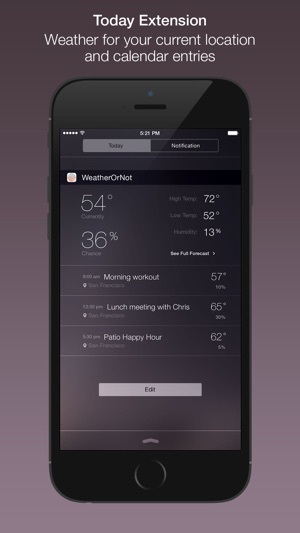 • An iOS8 Today Extension for quickly seeing weather and calendar information. We provide outstanding support. We’re a small indie team, so every customer counts. 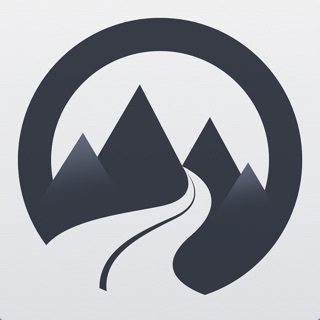 We have an in-app tool for providing feedback and bug reports. We act on the feedback -- look through our reviews, you’ll see plenty of happy customers that had their feedback implemented. The display is very easy on the eyes, and easy on the brain. You can very quickly get an overview of current and forecast weather. 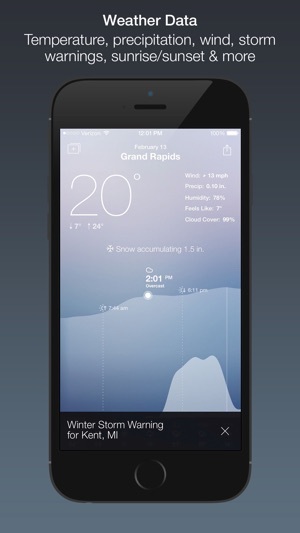 Incorrect Weather Info, Cleverly & Beautifully Presented. If the weather info was correct (ie matched the Australian BOM data), I would have given this App 5 Stars. However, cleverly presented, beautifully displayed incorrect data is useless. It doesn't help that many attempts to communicate my issues to the App developers over these issues has resulted in zero replies.